It's not the slickness. It's the cold and hard. But that cute lil' pen is a temptation. My other pen is a Montblanc. Dr. Inkenstein--it was a dark and stormy write! It doesn't. The Jinhao 250 does. The Jinhao 250 is above, with the Baoer 388 below. I'm pretty sure the section is a hard plastic. 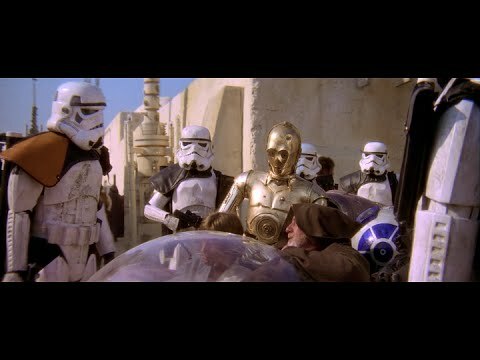 "There are not the droids you're looking for." When I clicked on your link, it took me to a review of a little black Baoer pen with hooded nib. Ahh, sorry. I thought you were referring to something I'd reviewed in this thread, not the link that ilikenails had posted. A trick you might try is ordering a Wing Sung 3003 and one of the replacement nibs for a Wing Sung 698. The 698 nibs are much better quality, but they swap in fine. That gives you the equivalent of a Pilot Prera (the pen the 3003 is modelled on) but with a better size, for about four pounds. It's the sort of combination that would go for 30-60 from a Japanese or European brand in the UK. Last edited by ilikenails; December 29th, 2018 at 09:36 AM. I don't mind metal sections, but don't like them stepped or out of round. I also prefer them smooth to having a tread on them. The Ohto Tasche is just a plain metal tube, which also doesn't dictate how far away your fingers should be from the nib, like some short sectioned pens do. We don't all have the same hand width/length, so being able to alter your grip location, gives you more feeling of control of the pen angle. I think this might be one of the reasons I like the other two main pens in my array. They just feel right in terms of angle. Some of the others feel a little "off", and I kind of wish the section let me hold it differently. I can't give specifics as I haven't used them in a while. A year ago today, I signed up to this forum and set off on this little voyage of exploration. Seems fitting to give a little update. My top three pens remain the same, and I hardly ever reach for the others. I will occasionally use a ballpoint, but that's probably less than 10% of the time. I haven't bought any more inks yet, but the cartridges are starting to diminish, and the level in the ink bottles has lowered a little. I will need some more cartridges soon, but will probably get through this year just fine with the bottled inks. I did expect something to have changed by now. Either a hunger for another pen, or a casual drift back to the ball points. Not so. I have been, and still am, genuinely content with what I've found. I have suffered no performance issues with any of my cheap pens either. I might have a bit of a hard start if one of them happens to not be picked up for a couple of weeks, but it doesn't take much encouragement to wake them back up. I've not yearned new inks either, and have been quite content with my little array. I do keep looking occasionally at the "forgotten" pens, and wondering if I should ink one up, but that would mean not using one of my favourites, so they've just been dumped to one side. They have served their purpose now, which was leading me to the three I do use. Maybe I will use them again one day, or maybe pass them on to someone else. Who knows? Who cares? All that matters is this little journey got me where I wanted to be. Despite my growing collection, I used one pen for 10 years (two degrees over three continents). Long before I knew having a fountain pen was a "thing". That's an impressive run. Do you still have that pen? Good to hear from you. I am pretty happy with a select few pens myself lately. Although I wanted to try a Wing Sung 3008. It just arrived yesterday. Looking forward to trying it. I added a Kaweco recently to try out and it quickly has become a favorite. Today a replacement Jinhao 51A, in wood, arrived. I wanted a pen dedicated to my one brown ink. I have been focusing on other hobbies lately and just using the fountain pens and inks day to day. Thanks azkid. I love my standard nibbed 3008. It's fuelled up with Oxblood at the moment. I've got about half a tank left after filling it up about 10 days ago, which should tell you how much use it's getting. I haven't used the one I swapped to an italic nib for quite some time. Good for you! Nice to hear of unwanted pens being put to such good use. Yup, my pens have just become everyday writing implements too. They just meld into my hand, and I lose awareness of the pen, and focus wholly on the words flowing out of it, just as I hoped for. That's one of the reasons I haven't fuelled up the others, I am aware of them once they're in my hand, and that detracts from what I'm doing. I filled my 3008 (EF) with Tsuki-yo and they seems to pair well together. I didn't have any other pens loaded with it even though I really like that ink a lot. Anyway it writes quite nicely and feels great in the hand. Nice thick grip. Good heft but not heavy. And it looks good (and I don't usually go for demonstrators). Now I see why you don't need anything else. That's a lot of pen, low price or not. I just ordered one....you evil people! By the way, I'm looking to 're-home' a few beginner pens. Would this Reddit-forum teacher be interested? I do! 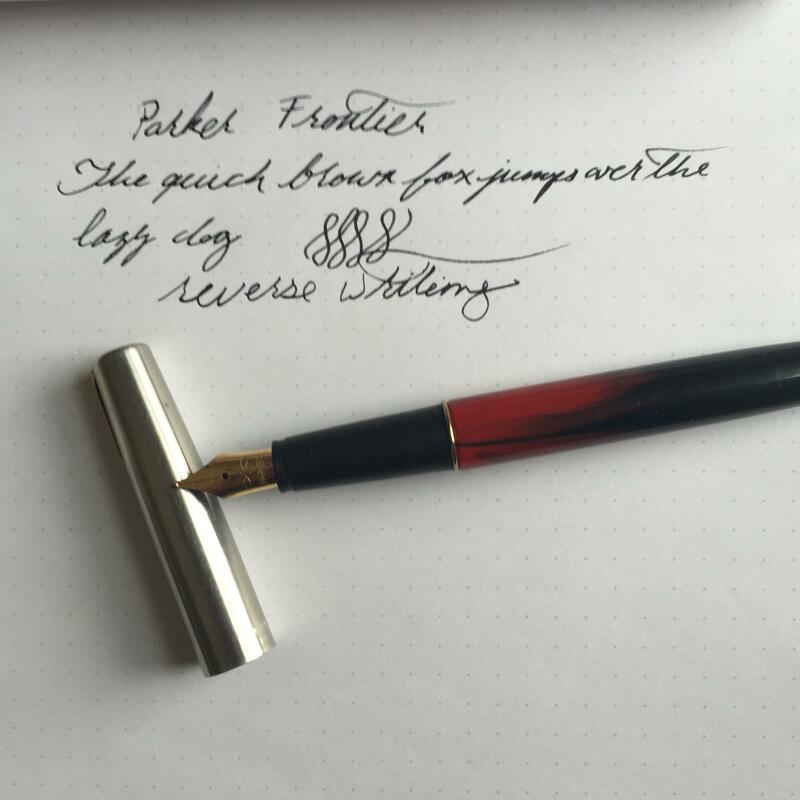 A Parker Frontier. I bought it the week before starting college. I walked into a Staples getting schools supplies and decided that, as I was an adult now (lol) I needed an adult pen. I almost grabbed a Dr. Grip (because that's what Drs and adults used, right?) and instead grabbed the fountain pen. Cap is a bit wobbly these days, but still works. During college I also used a vector (plastic crossword) that was a present and a few disposable ones. After college I bought a couple of Lamys and inherited my dad's sheaffers and kept using one or the other as work pens. Nice that you still have them. I used a pair of Rotring 600 after college for almost 15 years exclusively. I used other pens too, of course, but those two were the only fountain pens. Still have them as well. Then I got to write with a Japanese FP and have been into them (and others) ever since. Good to hear of these early purchases still having been kept and used. I hope that if I'm still around in a decade or so, that I'll feel the same way about my current favourites, and those same three pens will still be the ones my hand reaches for when I have something to write down.